Product categories of Wood Pellet Making Machine, we are specialized manufacturers from China, Wood Pellet Making Machine, Biomass Wood Pellet Making Machine suppliers/factory, wholesale high-quality products of Wood Plastic Pellet Making Machine R & D and manufacturing, we have the perfect after-sales service and technical support. Look forward to your cooperation! 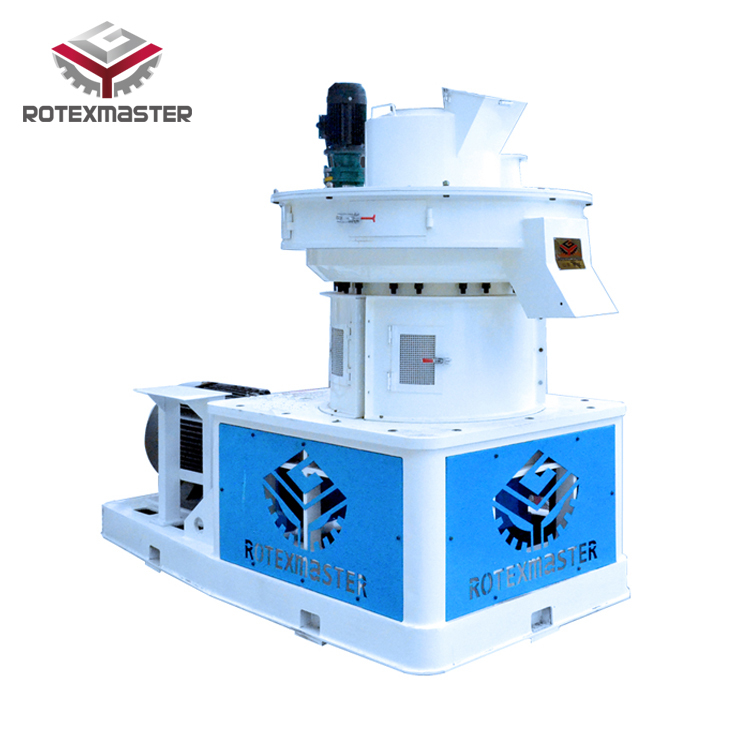 It adopts the large modulus hardened surface helical gearbox , main shaft reinforcement , Power output is strong , Good stability , Low failure rate ,Low production cost, so it is the first choice machinery for biomass energy industry . It is mainly applicable for difficult molding materials with low adhesion rate, for example hardwood , pine, poplar, birch , eucalyptus, rice husk, sunflower husk, peanut shell and fruit shell; branch, stem, rind and other wood waste; a variety of crop stalks; rubber, cement, ash and other chemical materials. It can be used in feed mill, wood processing plants, fuel plants, fertilizer plants, chemical plants etc. 3. The unique separation design of the spindle ensures the concentricity of the equipment, runs stably and efficiently, and reduces the failure rate of the equipment. 4, No need to stop, the whole machine realizes 24 hours full automatic intermittent lubrication, prolonging the life of equipment vulnerable parts. 5. The combination of the centrifugal force and the extrusion pressure of the roller ensures the shape and smoothness of the granules and increases the output of the machine.